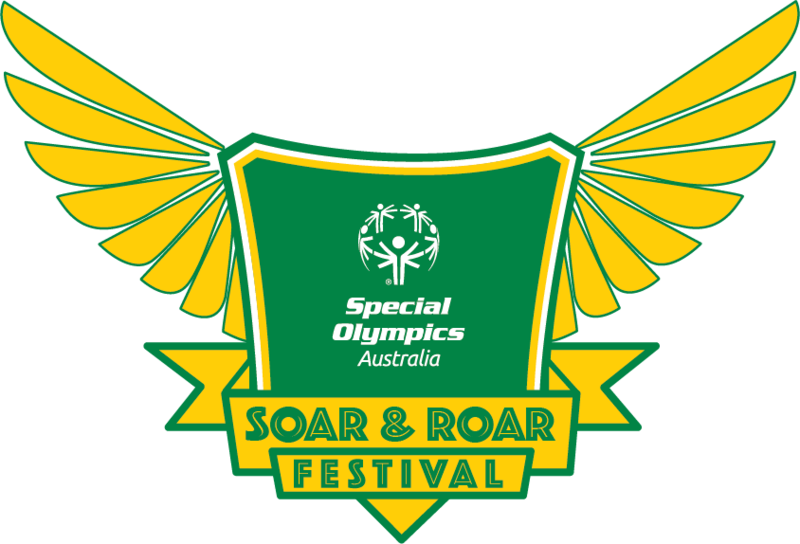 Special Olympics Soar & Roar Festival Pty Ltd (ACN 612 566 560) of Level 12, 680 George Street, Sydney NSW 2000 (SOSRF) will operate the Special Olympics Australia Soar & Roar Ride 2018 (Soar & Roar Ride) on Sunday 9 December 2018. The number of Participants will be strictly limited by number and will be decided in order of registration received. Each participant must comply with these terms and conditions to be eligible. Registrations will close on 12 November 2018 or at a date as determined by SOSRF. SOSRF will confirm by email by 17 November 2018 final confirmation of your registration if you have satisfied the payment and fundraising requirements in clause 6. SOSRF will not accept any registration on the day of the Soar & Roar Ride (Sunday 9 December 2018). Each Participant must pay the Registration Fee and are encouraged to fundraise to the minimum Fundraising Goal as set out in the table below. Each Participant will be given a fundraising page to assist with your Fundraising Goal. Any donations made via your fundraising page will be deposited to Special Olympics Australia as a charitable donation and receipted accordingly and will go towards your vehicle's Fundraising Goal. Donations are not refundable in any circumstances. Payment of the registration fees will be made to Special Olympics Australia using the Special Olympics Australia payments platform at roarandsoar.com.au. Special Olympics Australia collects payment of these registration fees as billing agent for SOSRF and will on-pay them to SOSRF. Registration in the Soar & Roar Ride is not transferable to any other person. you have not complied with these terms and conditions. SOSRF will only offer a refund of your Registration Fee if Soar & Roar Ride is cancelled, rescheduled or significantly relocated, or to the extent otherwise required by the Australian Consumer Law. You must apply for any applicable refund within 30 days of the date of cancellation. SOSRF will not refund your Registration Fee as a result of your change of mind or a change in your personal circumstances. If Soar & Roar Ride is cancelled, rescheduled or significantly relocated, SOSRF's liability is limited to the Registration Fee. Unless required by the Australian Consumer Law, SOSRF will not be liable for any other losses you incur as a result of the cancellation, rescheduling or relocation of Soar & Roar Ride. Fundraising contributions (donations) are not refundable in any circumstances. On the day of the Soar & Roar Ride, you must comply with all directions and instructions given by SOSRF Personnel and other Soar & Roar Ride officials and the police. These may include directions for you to leave the Soar & Roar Ride area, such as for behaviour or safety reasons, or directions for you to undertake a breath test. You agree SOSRF or its Personnel has the right to request verification of your age, identity, residential address and any other information relevant to the Soar & Roar Ride. SOSRF takes no responsibility for the conduct of the Athletes during Soar & Roar Ride. If you have registered to bring a vehicle to participate in Soar & Roar Ride, you warrant that the vehicle is registered in your name. It is strongly recommended that you advise your insurance company that you intend taking your vehicle on a race track as part of the Soar & Roar Ride activities. Each participant will receive an information pack before the Soar & Roar Ride containing relevant information for participation such as procedures, road rules, scheduling and route information. All participants will be issued with a coloured arm band that must be worn at all times for the duration of the Soar & Roar Ride. Only registered Participants will be permitted to be on the Soar & Roar Ride route during the Soar & Roar Ride. For safety reasons, spectators and families are not part of the Soar & Roar Ride and must not follow Participants in vehicles or with any other mode of transportation. Communications relating to Soar & Roar Ride, including changes to these terms, will principally be via email or posted on the Soar & Roar Ride website. All Participants therefore need to provide a valid email address and regularly check the website. It is your responsibility to read all information that is made available on the Soar & Roar Ride website, in emails, newsletters and all other literature concerning Soar & Roar Ride. You agree not to make a Claim against any Released Person for any Loss you suffer because of your personal injury or death while taking part in the Soar & Roar Ride. You may make such a Claim if your personal injury or death was caused by the recklessness of the Released Person or to the extent allowed by law. You agree not to make a Claim against any Released Person for any Loss you suffer because of damage to property, including to any vehicle, while taking part in the Soar & Roar Ride. This clause does not prevent you from making a Claim under the Competition and Consumer Act 2010 (Cth), including under the Australian Consumer Law. You will pay the Released Person the amount of any Loss suffered by that Released Person if you or another person brings a Claim of the kind described in clause 22 or 23 above. Clauses 21 to 24 apply to any person participating in the Soar & Roar Ride at your request or with your consent. if requested, to sign a release and indemnity form which confirms your obligations as set out in clauses 21 to 24. By participating in Soar & Roar Ride, you consent to receive such medical aid or preventative treatment which may be deemed advisable in the unfettered discretion of Soar & Roar Ride Medical Officials in the event of any injury accident or illness to you during your participation in Soar & Roar Ride. You consent to the publication and/or use in any form of media whatsoever of your name, image, voice, statement or otherwise without payment or compensation. You acknowledge that if you provide an emergency contact name and phone number during the registration form or otherwise, that SOSRF Personnel may contact that person and exchange your personal information with them in case of an emergency. You warrant that you have notified your emergency contact that you have listed them as such and that SOSRF Personnel may contact them in such circumstances. You declare that all the information you supply on the registration form is true and correct. your alcohol reading will be 0 at the commencement and during the entire Soar & Roar Ride. Athlete means a guest selected by SOSRF to participate in the Soar & Roar Ride. Claim means any claim, demand, allegation, suit, action, cause of action, proceeding or judgment of any kind however made or caused. Loss in the nature of loss of profits, revenue, data, production, use or Loss of production even if the relevant Loss may reasonably have been supposed to have been in the contemplation of the parties at the time they made this Agreement, as the probable result of the relevant event. Loss means any loss, damage, claim, cost (including legal costs), obligation, expense, liability or payment of any kind however calculated or caused and whether based in contract (including under any warranty or indemnity), tort (including negligence or breach of statutory duty), breach of statute, misrepresentation or breach of other law or regulatory requirement and whether or not actual or contingent. Loss includes Consequential Loss unless otherwise stated. Personnel of a person means that person's officers, employees, agents, volunteers and representatives and includes including medical and paramedical personnel appointed for the Soar & Roar Ride. Related Bodies Corporate means, in respect of a body corporate, a body corporate which is (a) a holding company of the first body corporate; or (b) a subsidiary of the first body corporate; or (c) a subsidiary of a holding company of the first body corporate. Released Persons means SOSRF, Special Olympics Australia, any other event stakeholder, the owners, licensees and occupiers of land upon which the Soar & Roar Ride or any part of it is conducted, any statutory body or local authority having control over any land upon which the Soar & Roar Ride or any part of it is conducted, Sydney Motorsport Park, Soar & Roar Ride sponsors, supporters, persons, corporations, contractors, sub-contractors, volunteers, servants and employees involved or otherwise engaged in promoting, staging, administering, conducting or controlling the Soar & Roar Ride, its Related Bodies Corporate and each of their respective Personnel.